Rainbird 35APJTNT 3/4" Adjustable Circle Impact Sprinkler. 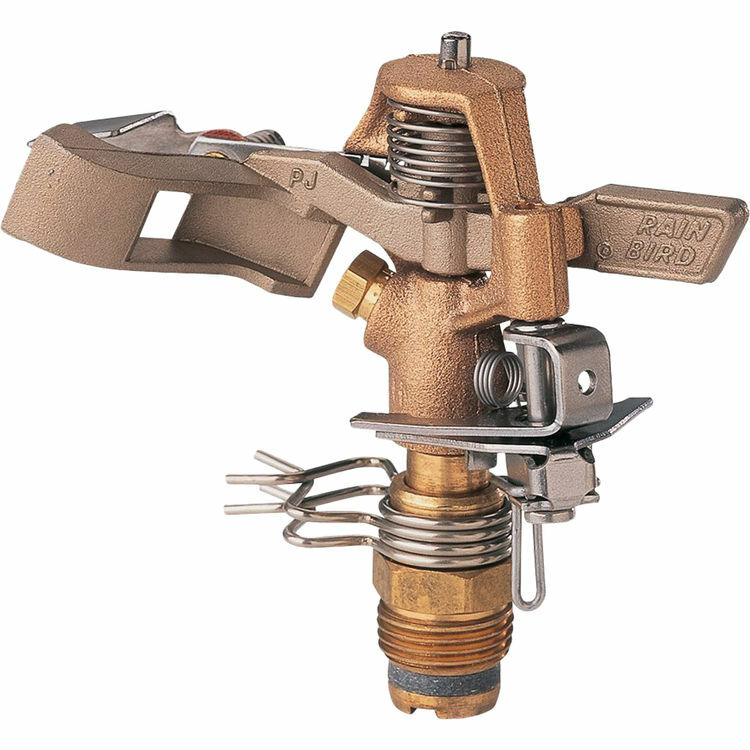 The Rain Bird 35A-PJ-TNT is a 3/4" Riser-Mounted Impact Sprinkler Head (Sprinkler Only) that features a long-wearing TNT bearing, and a straight-through flow for superior performance in dirty water. It offers the Precision Jet tube that minimizes side splash, and rugged brass and stainless steel construction.